Florafelt Pockets for Perez Art Museum Miami by Brightview Landscape Miami. The Perez Art Museum (PAMM) in Miami needed a solution for dripping and maintenance issues at their famous living columns created by Patric Blanc, and Brightview Landscaping Miami turned to Florafelt Pockets. With only the first column planted, the artistic vision was instantly revitalized. 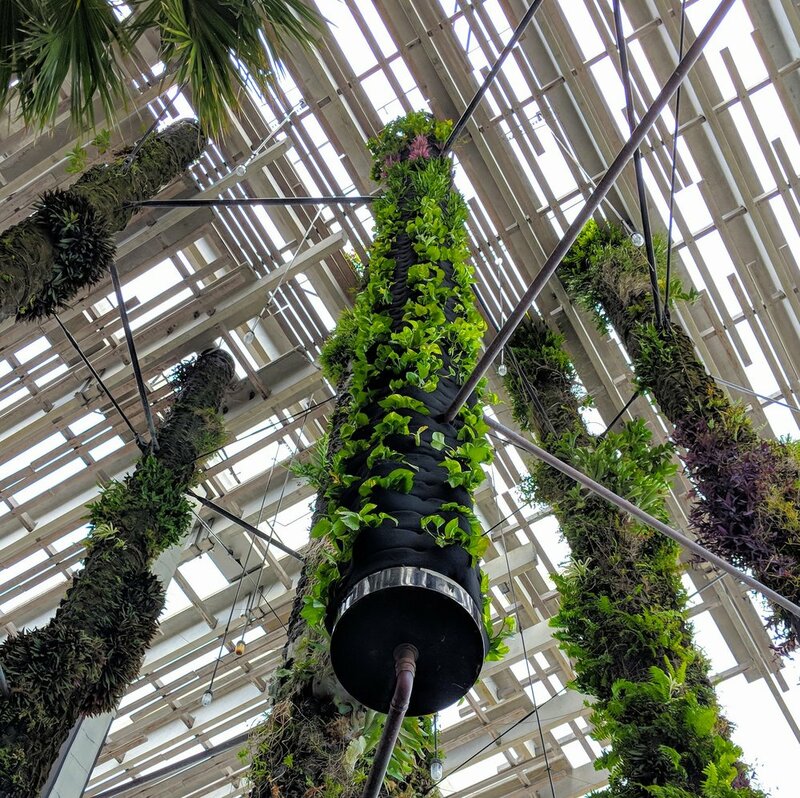 Because changing plants is as easy as slipping them out of their pockets, the column will be monitored and adjusted to create a landscape design for all the rest. One glance reveals the future beauty.